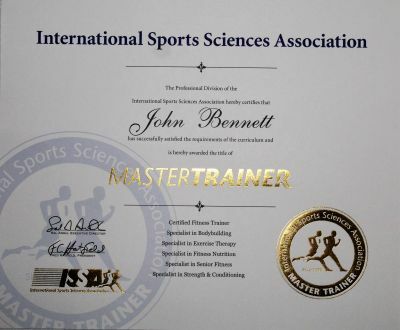 By definition, a Master Trainer is one who has achieved the highest possible level of attainment in the fitness industry. With this title, the Master Fitness Trainer has practically set himself apart from all the other trainers by means of his exceptional level of educational development, professional expertise, distinguished standing and unsurpassed commitment to the fitness industry and to his/her clients. One of The Best in the Industry Will Come To You! My name is John Bennett. I own Now It's Personal Training. We come To You! Fitness training is provided in the comfort of your home, office or residential community association gym. Today I am what is called a seasoned professional with specialist certifications. A combination of old school and new school. Over 40 Five Star Ratings on Google from satisfied customers. Let me help you. 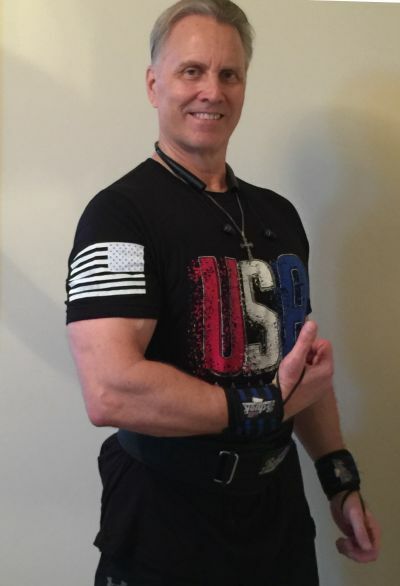 We offer fitness training for all ages and are Certified Specialists in Strength and Conditioning as well as Certified Specialist in the fast growing Senior Fitness Industry on the Treasure Coast of Florida. We also offer Post Rehabilitation Services. There are several videos from satisfied clients throughout the website. Call to speak with me directly. Now It’s Personal Training educates and trains clients in the performance of safe and appropriate exercises to effectively guide them to optimal health. Now It’s Personal Training is Certified, Licensed and Insured and can help with all aspects of health and fitness. The Company is focused on Physical Fitness and offers free seminars to the public for Educational & Motivational purposes to help promote a healthier community for all its residents. Studies have proven the benefits of a well-designed exercise program to all body systems while lowering blood pressure, decreasing the incidence of heart disease, increasing bone density, maintaining mobility, improving balance, flexibility, posture and mental health. Dedicated to helping others achieve their goals in fitness and health through professional personal training methods which will enhance their quality of life for years. Now It's Personal Training is Certified, Licensed & Insured.